Hi there! 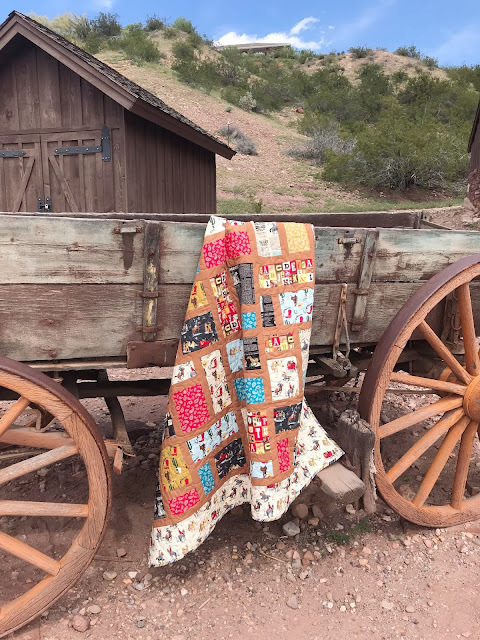 I am so excited to share this fun quilt with you today! This fabric is sooo cute! 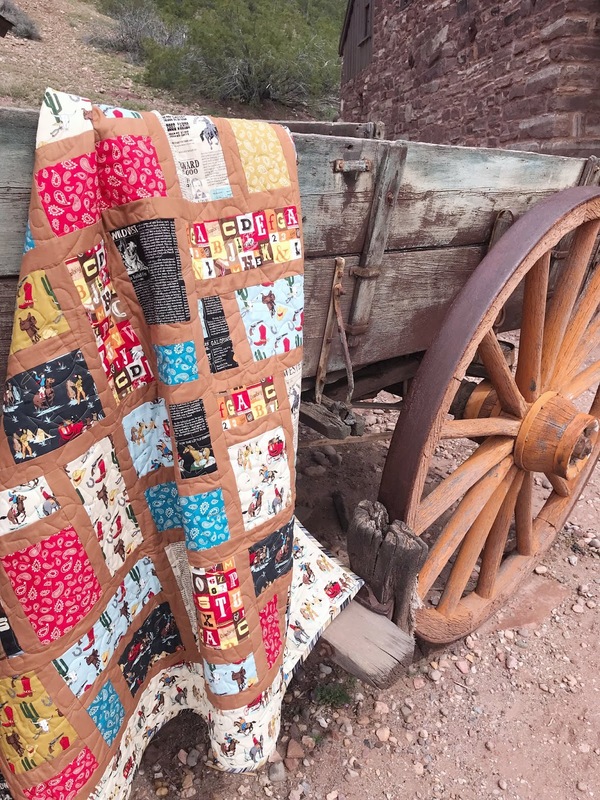 It is called Cowboy Country by Bella Carta for Riley Blake Designs. 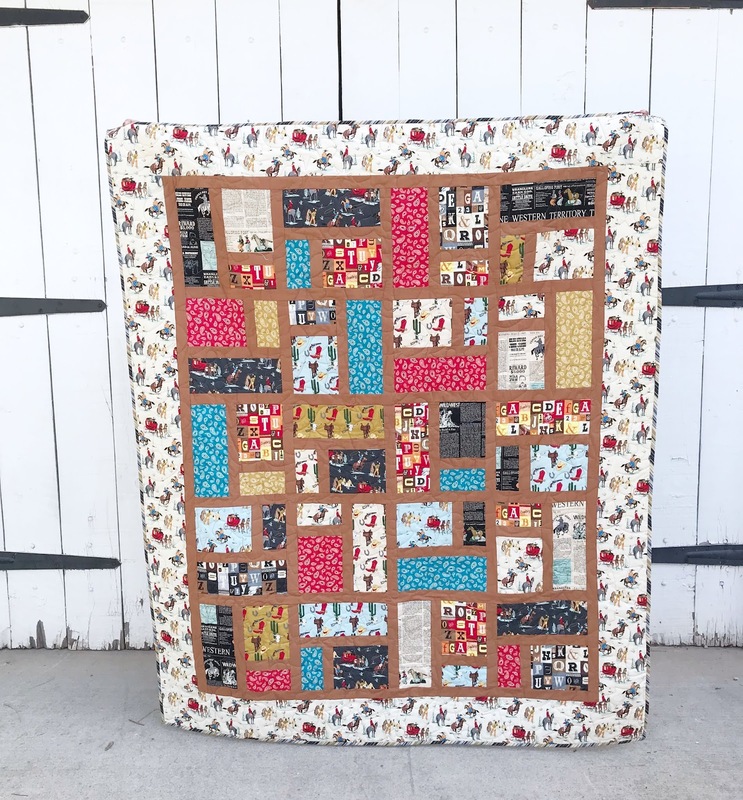 I decided to use one of my favorite quilt patterns called Brickwork! This is a fabulous pattern that you can use to showcase large-scale prints. It is also a really great pattern for guy/boy quilts. I decided to go with the a darker sashing on this one and used Confetti Cottons in Cinnamon. It complements the other fabrics really well! This line of fabric has so many great prints in it! The newsprint line is my favorite! I love that this pattern really showcases all prints in the collection! For quilting, I did a fun cowboy theme design. 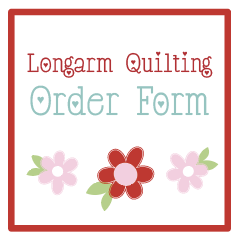 It is perfect for this quilt. For the backing fabric I went with a lighter cotton shade called Cream. 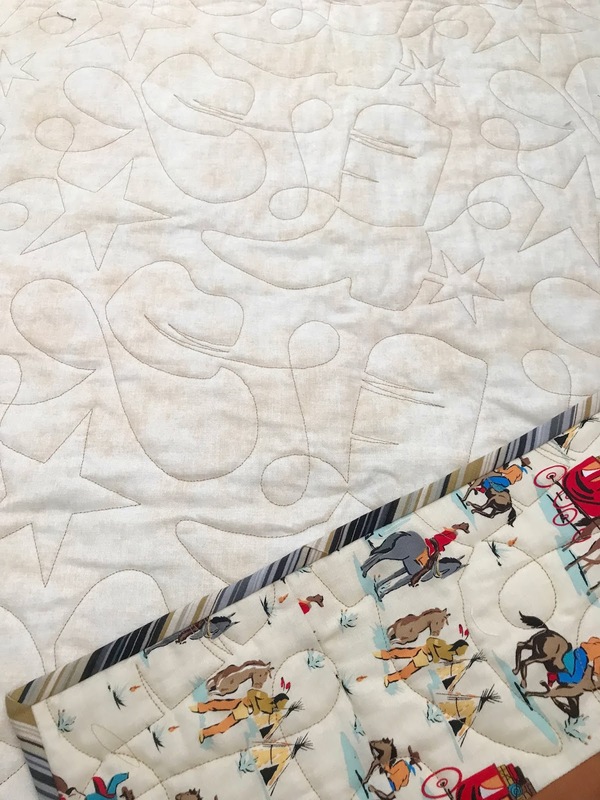 It was the perfect backing to showcase the quilting design. 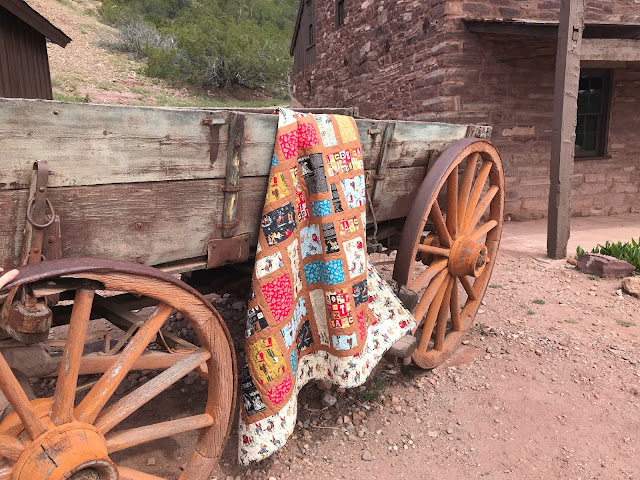 I knew I had to take this quilt to a local historic site to take pictures! These pictures were taken at Jacob Hamblin's home in Santa Clara, Utah. Jacob Hamblin settled this area. This old wagon I'm sure crossed the plains many many years ago. It is definitely a must see if you are in southern Utah! 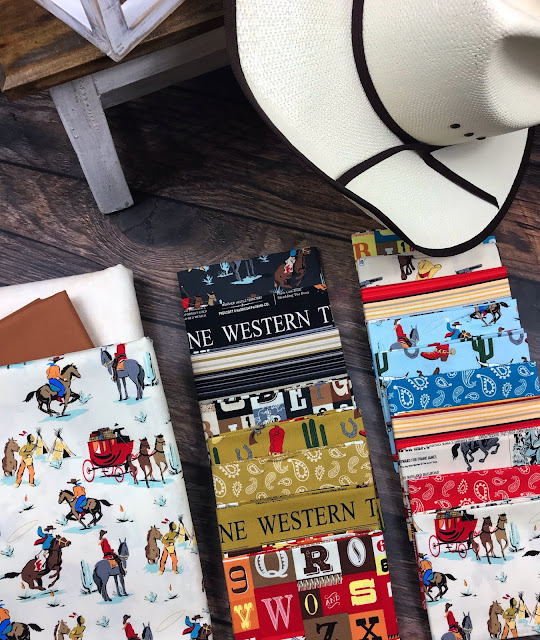 Be sure to follow Riley Blake on Instagram to see the latest projects made with Cowboy Country!